A few years ago, I wrote a brief post on Remix vs Shuffle. 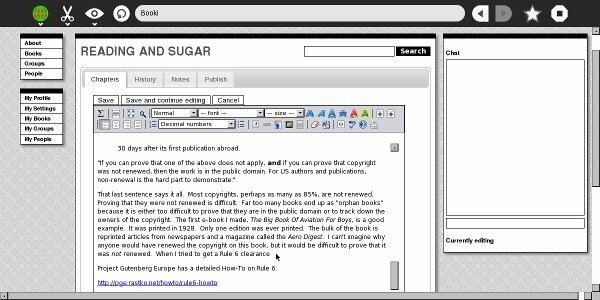 At the time, the Open Educational Resources (OER) movement was struggling to work out how existing teaching materials could be remixed and reused. No one had really cracked it. At the same time, we built remix into FLOSS Manuals. The primary use case was for workshop leaders to be able to compile their own workshop manual from existing resources. We had a large enough repository of works, so it was a question of how we went about enabling remix. I have come to the understanding the ‘remix’ as such has only a limited use when it comes to constructing books from multiple sources. Text requires the same kind of shaping. If you take a chapter from one book and then put it next to another chapter from another book, you do not have a book – you have two adjacent chapters. You need to work to make them fit together. Working material like this is not just a matter of cross-fading from one to the other by smoothing out the requisite intros and outros (although this makes a big difference in itself), but there are other aspects to consider – tone, tempo, texture, language used, point of view, voice etc as well as some more mundane mechanical issues. What, for example, do you do with a chapter that makes reference to other chapters in the book it originated from? You need to change these references and other mechanics as well as take care of the more tonal components of the text. I think these are valid points, but I think, revising this, there is one nuance I would like to add. Sometimes ‘shuffling’ is adequate where you are compiling an anthology which is, as it happens, the case when you are putting multiple journal articles into a collection. Building tools to enable this kind of ‘reshuffle’ is very useful but still I would question the usefulness in certain contexts. It is a use case that, from my experience, would be great as a tool used by, for example, a publisher or curator. I’m not sure of its usefulness in a more generic ‘user space’. Journal publishers do, in fact, make collections where several articles are compiled together to form one ‘bound’ work (often a PDF). In this space, such a tool could make life much easier. Whether members of the research community, for example, would want, need, or use such a tool is still an open question to me. Here is a video (ogg vorbis) demo of it in action, with the resulting PDF linked below. my_pdf (note, the colored text is because, as shown in the demo above, I edited the styles via CSS to make the body text red). Books are of course learning environments. However, this is usually understood from the perspective of the reader. What is often forgotten is that book production itself is a tremendous learning process. As people work together to write/illustrate/create a book together they are learning a tremendous amount about the subject. Kieran utilised the history feature of the production software to track a student’s contribution to the project. The work counted for 15% of the final mark. Over the space of two weeks, the class collaborated online both in the lab and individually at home to create a compendium book of 21 original design concepts. The students I teach are well accustomed to using the online space as a learning environment. While a lot of material can be covered in the space of a single lecture, extra time is often needed to help students absorb and reach a deeper understanding of their source material. Online discussion of in class topics helps facilitate this. So too experiential learning is essential for reaching a deep understanding of a subject. We can, of course, imagine a perfect perpetual production book machine – students write textbooks together and learn the subject and get evaluated on their contributions- the next year’s students improve the textbooks and hand onto the next year’s students and get evaluated on their contributions etc. Students produce their own textbooks for their school and to fulfil their own learning needs. There are some experiments going on in this area but not nearly enough. The Open Educational Resources (OER) movement is largely stuck in traditional publishing work processes. With time, hopefully, the value of learning within the book production processes will be understood and utilised to produce more open textbooks which students need. You may be familiar with the One Laptop Per Child (OLPC) project. It’s pretty well known and aims to provide free laptops to children all over the world who otherwise could not afford them. The above image is taken from Reading and Sugar – an excellent manual by James Simmons about working with ebooks on the OLPC. The image shows a book taken from Archive.org and imported into Booki – Booki then exported this to an ePub and this was opened on the OLPC as shown. “Booki is one of the best tools available for Sugar users to create e-books. It can be used on the XO or from Sugar on a Stick. It supports many authors collaborating on a single book. It supports translating books into many languages. It can create PDFs and EPUBs. It can create books formatted for print-on-demand services. It can create documents in Open Office ODT format (which Open Office can convert to MS Word format). It can even be used to download, proofread, and correct EPUBs created by the Internet Archive. 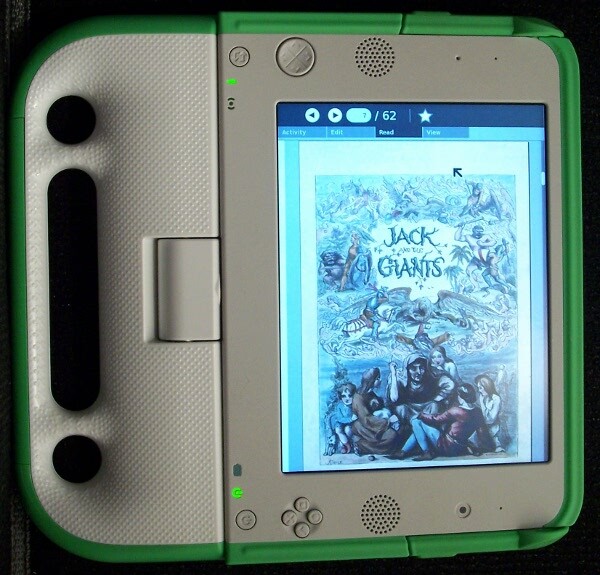 Below is an image from the same manual showing Booki being used in the Browse activity (the OLPC browser).